While roaming around Paris, by the River Seine, we could see some of the bridges were decorated with locks. 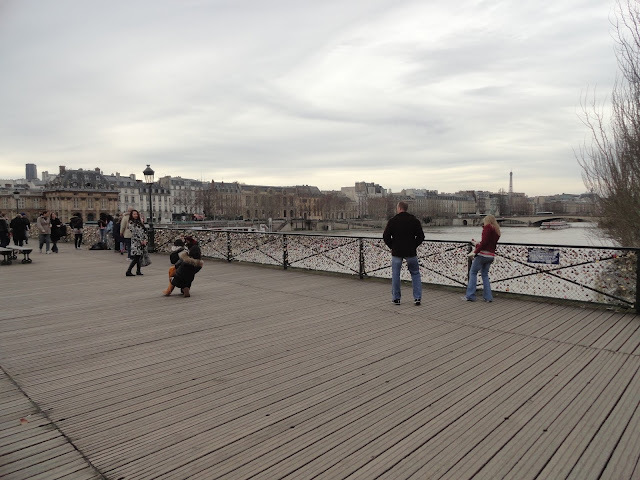 In French these pedestrian bridges which connect one side of Paris to another over Seine are known as Pont des Arts or Passerelle des Arts. When we enquired about these locks from people around, we came to know that there is a legend in Paris which says that if you are in love, you should engrave a lock with your and your lover's name and put a lock on this bridge to preserve it forever... So romantic. But then a French person told me that the original legend was if you wish for something over the River Seine, write your wish and lock it on that bridge. You are supposed to keep that keys safe until your wish comes true, and when it does, come back and remove that lock. 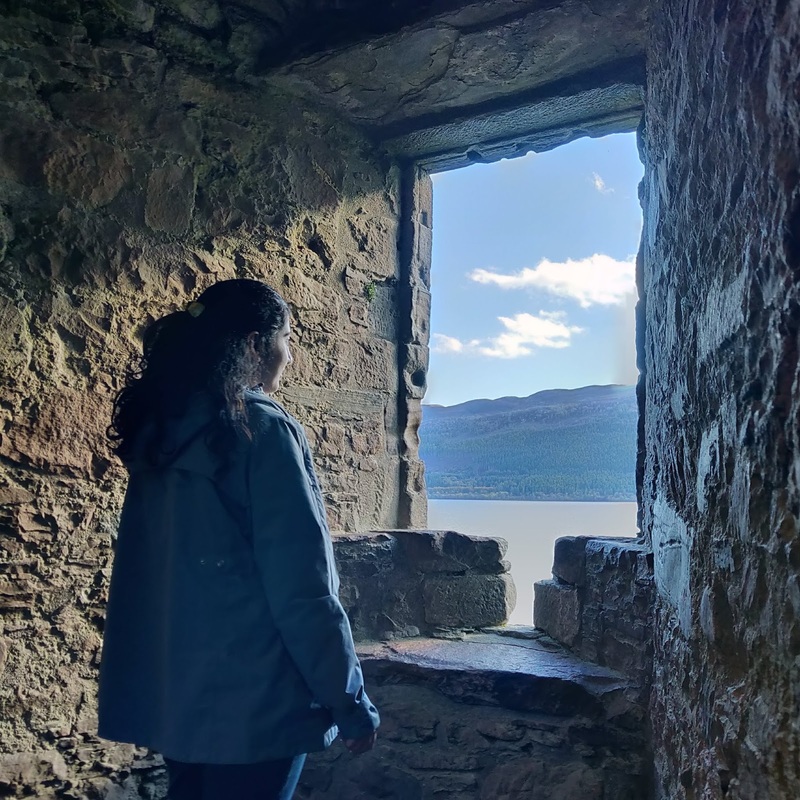 This story changed versions over the years and now lovers engrave their names and throw the key into the River to preserve their love forever, even afterlife. At one time the number of locks on that bridge were so many that the government had to run a campaign #lovewithoutlocks to avoid this. After every tourist season, the authorities will do a cleansing drive by cutting all the locks from the bridge, as it has been highlighted as a safety concern. By the side of this bridge, there are many small shops which engrave the couple's first name in a nice heart shape and sell it. 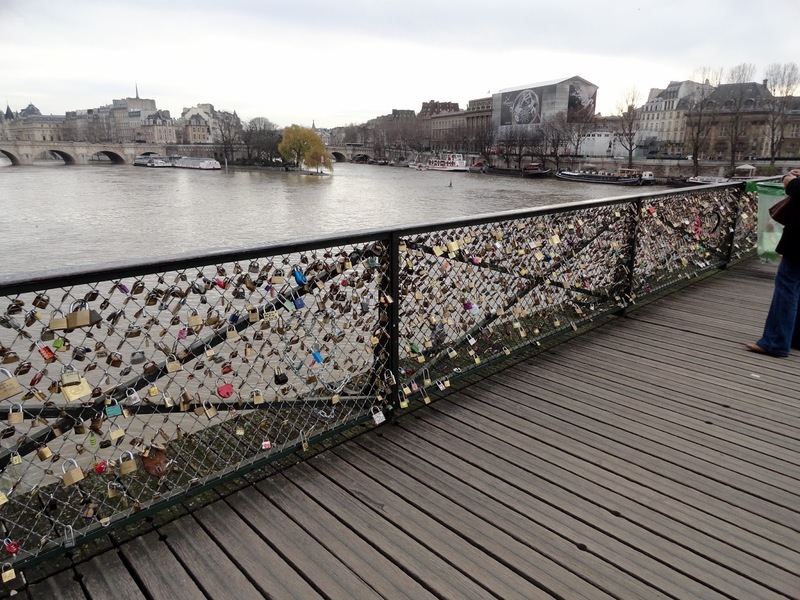 Many tourists buy these engraved lovelocks, put them on the railing of the bridge and throw the key into the river Seine below as a romantic gesture. 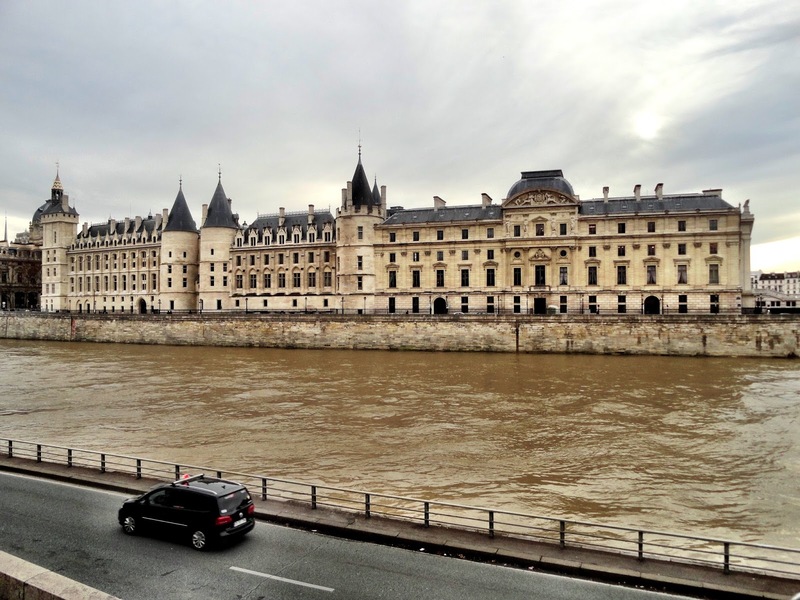 The river Seine divides the city of Paris into two parts, and you will see this bridge while walking from Louvre Museum to Notre Dam cathedral. Paris is an amazing city which leaves a lasting impression on a person, I will cover more of Paris in my subsequent posts. Wow! Paris is my dream destination. Your post reminds me of the song from movie "Queen" where Kanga a Ranaut too takes a lock and throws the key in Seine! स्नेह जी, बढ़िया वर्णन एवं चित्रसंयोजन! 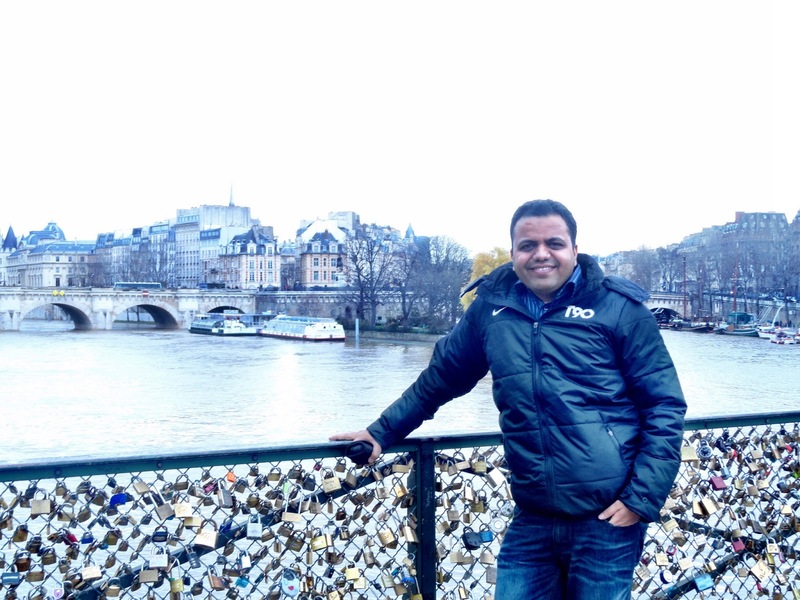 Thanks for sharing about Bridge of Love Locks on River Seine. Nice post.